The INITIAL CONSULTATION allows us to gather information about you and your current state of health. This appointment allows us to identify your needs and goals and to establish whether the chiropractic approach is right for you. 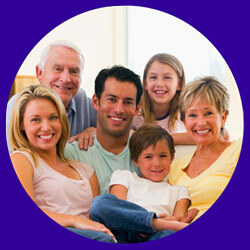 We take a full health history, looking into past and present issues that may be related to your health needs. We perform various orthopaedic, neurological and chiropractic tests to gather information and better understand the function of your spine and nervous system. We also make use of a computerised chiropractic spinal scanner which provides additional clinical information on the function of your spine and nervous system and is a valuable tool to monitor progress and changes in your spinal function. The follow up REPORT OF FINDINGS APPOINTMENT explains in detail your care plan. Your chiropractor will outline a schedule of care that is geared to working towards agreed goals. Near the end of each phase of care, your chiropractic needs will be reassessed at a Progress Exam.